Mángzhòng 芒种 in Chinse, or Bōshu in Japanese, Mangjong in Korean, Mang chủng in Vietnamese, is the ninth solar term. It begins when the Sun reaches the celestial longitude of 75° and ends when it reaches the longitude of 90°. In the Gregorian calendar, it usually begins around June 5 and ends around June 21. During Grain in Ear 芒种crops like barley and wheat mature and are waiting to be harvested. In addition, it is the deadline for the last sowings and farmers are in the fields sowng millet. 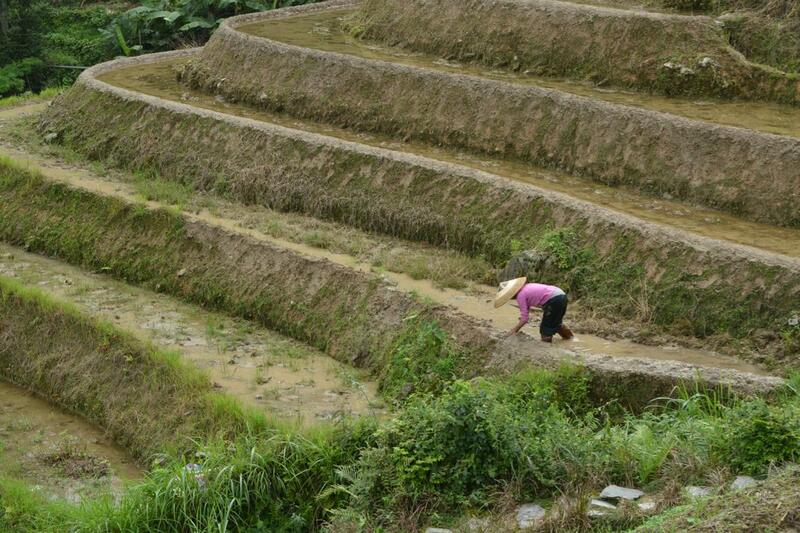 During this period, areas around middle stream and downstream of the Yangtze River enter the rainy season. Sensing the dampness, the mantises emerge, the shrike starts to sing and the mockingbird becomes quieter. Almost all the sprig flowers are gone, the tulips, lilacs, irises, and daffodils have drpped the remains of their blooms. In China, as the flowers withered away, people in ancient times used to hold ceremonial sacrifices to the “God of Flowers”, showing their gratitude and their eagerness to see the flowers again next year. This beautiful custom is long gone and people can only read the descriptions of it in classic novels. It’s not any kind of celebration in China without food. In south Anhui province, after rice planting, people steam dumplings made with the new fresh wheat flour. They make the flour into different shapes such copying kinds of food like animals and vegetables and color . This goes with a prayer for safety among the villagers. The best food to eat during “Grain in Ear” period though, as suggested by Chinese doctors, is mulberry. Around two thousand years ago, mulberry had already been considered as royal food and among common people, it was called the “holy fruit”. It has abundant glucose, Vitamin A, B and C and many mineral substances and is very good for humans’ heart, liver and kidney. don’t be put off by the insect in the picture, it is a valuable silkworm. They prefer the leaves and will leave the berries for you. In Southern China, May and June are the seasons when plums become ripe. There is an ancient story that Cao Cao and Liu Bei, two of the central figures of the Three Kingdoms period (220-280 CE), talked about heroes while boiling green plums. Green plums contain a variety of natural and high-quality organic acids and are rich in minerals. They can help clean blood, lower blood lipids, eliminate tiredness and improve skin tone. Ffresh plums are very acerbic and need boiling before they are eaten, however. The renowned doctor Sun Simiao of the Tang Dynasty (AD618-907) advised not to eat greasy or strongly flavored food during the Grain in Ear season. In general, vegetables and whole grains which work in lowering blood pressure and high blood lipids should be the first choice. Vegetables are recommended over meat and people should avoid thermogenic foods like hot peppers, onions and gingers if they are finding themselves feeling thirsty and tired much of the time. The weather is starting to get really hot during the Grain in Ear period. While vegetables in general are preferred those with cooling properties are the best to eat in hot weather. Bitter melon is a classic representative. 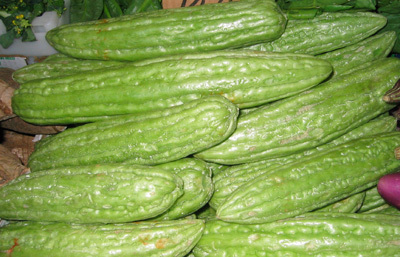 Belonging to same family as watermelon, bitter melon contains a lot of natural and nourishing water. It’s also said to have healing properties, which are good for patients suffering from either high blood pressure or high blood sugar. Watermelon is also recommended at this time so if bitter melon is too exotic for you or you are put off by the name, go ahead and indulge in watermelon. It helpes replace potassium lost in sweating during the heat. Tomatoes are also good at this time. Being abundant in Vitamin C, tomatoes help clear away heat and toxins. Other vegetables such as cucumber, eggplant, celery, lettuce, and asparagus belong to “cooling vegetables.” These vegetables all eliminate excess internal heat, expel toxins and promote digestion. Pears are juicy, and have a sweet and sour taste. Because of its cooling and refreshing properties, it is given the name “natural mineral water,” and is very good for the skin. In China and other part of Asia pear drinks are very popular refreshment. You can add strawberries to the list of recommended fruits as well. Certainly no one has to suffer while maintaining a healthy and seasonally appropriate diet. Rainfall increases during Grain in Ear compared to the previous eight solar terms. Regions in the middle and lower reaches of the Yangtze River in China are about to enter the Plum Rains season. 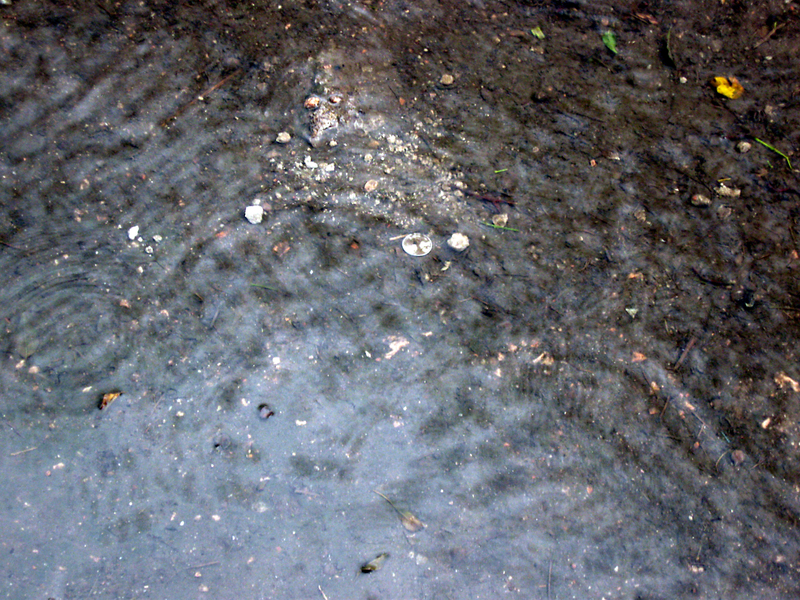 Plum Rains, often occurring during June and July, refer to the long period of continuous rainy or cloudy weather accompanied by frequent and large amounts of rainfall. June and July are also time when the plums ripen and so these rains take their name from the seasonal fruit. Here we were getting rains like that earlier, The river running through town was getting very high and brown with runnoff. But for th last few days we have had almost perfect weather, just slightly cool at night and pleasantly warm during the day, don’t thingk this will last, we too will probably go back to Plum rains. This entry was posted in Food, Health, Natural World, Seasons, Weather and tagged bitter melon, Chinese calendar, green plums, millet, mulberries, pears, Plum Rain, rain, rice, solar terms, strawberries, summer, watermelon, wheat. Bookmark the permalink. 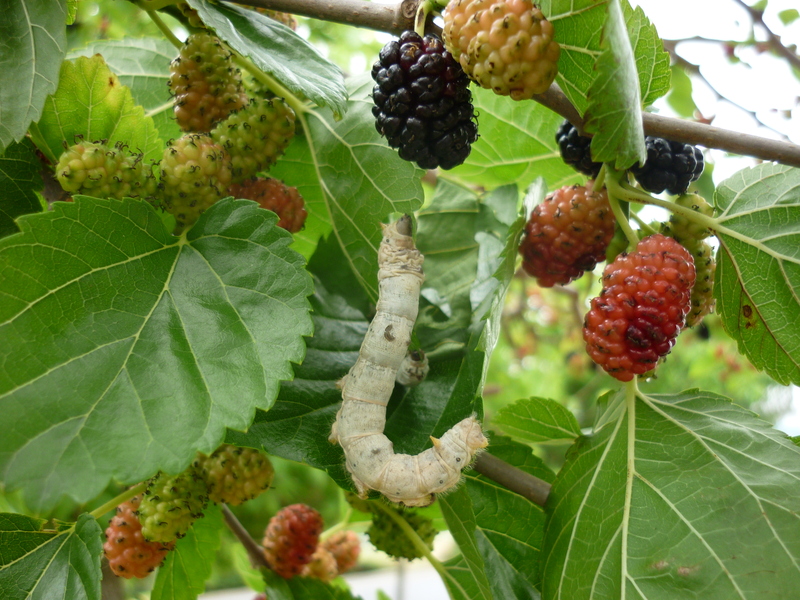 I friend back east had a mulberry tree, and I enjoyed the fruits very much. Farmers and country folk, especially the elders, are good observers of nature and keepers of wisdom. Thank you for helping to keep that wisdom alive and available to the rest of us. Every time I see pictures of big cities all glass and steel I just cringe. We are becoming so disconnected from the natural worls and it’s to our detriment as individuals and as a species. I will have to see if mulberry trees grow in my zone. Glad the post brought good memories.